*Download Adobe Acrobat Reader to view downloaded Sonex forms. 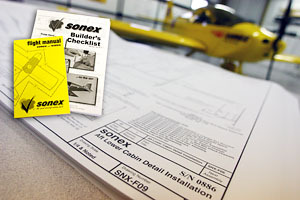 Sonex Plans are available for individual purchase only to customers in the United States, Canada, Australia and New Zealand. Customers in all other countries may only build using a Complete Airframe Kit, Sub-Kits, or a Quick Build Kit.